We are happy to announce that we will continue to provide the No. 96 Public Bus Service. 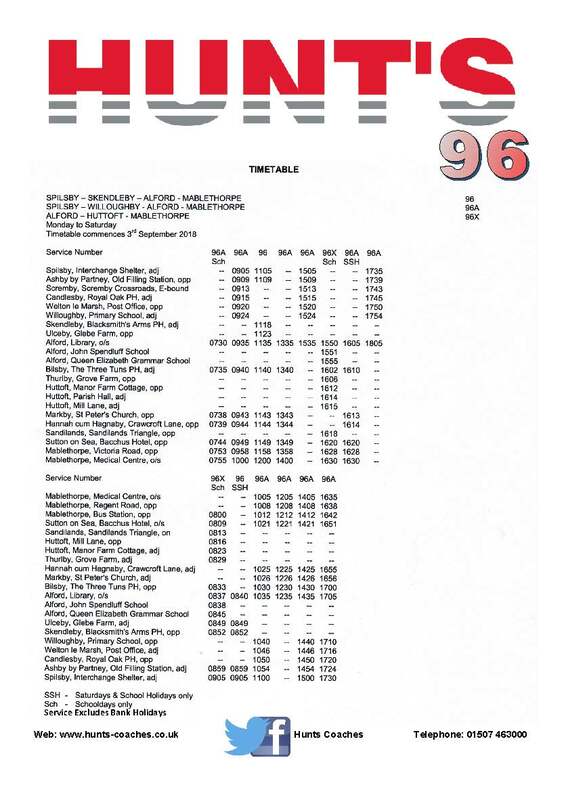 A new timetable will commence from the 03 September 2018. This timetable is in collaboration with Lincolnshire County Council. Click here to see the new timetable.